Look around your home. Is there an obvious color scheme going on? What color are your kitchen walls, your bedroom? Open up your closet and see if you subconsciously (or not) lean towards certain hues. These are all good hints as to what colors will make you happy on your wedding day, and bring back those fond memories for months and years to come. Location, location, location. If you have selected your venue already, think about what colors will work best for the ceremony and reception. Are you having the reception in a large ballroom? Feel free to go for deeper, brighter colors since they won’t dwarf the room much. Is your ceremony cliff side over the Pacific Ocean? Incorporate natural blue and green shades that take the surroundings into consideration. Tis the season. One big way that your colors will come into play is in your floral selections. So, why not start with determining what flowers and plants are in season when you’re getting married. 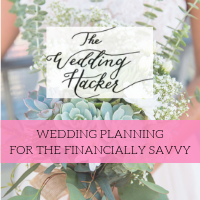 Sit down with yo ur florist to discuss what will be available and fresh (and better priced) and use those ideas to help narrow down some colors. Use the color wheel. Now don’t laugh, but remember when you were in grade school and used a color wheel to learn about primary and secondary colors? Well, this could be helpful as you select your wedding palette. 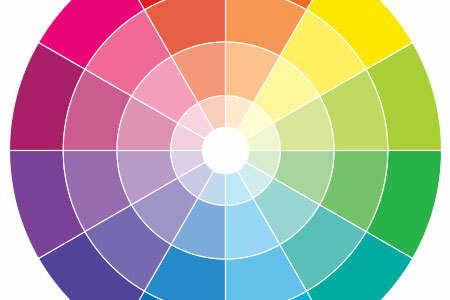 Colors opposite each other on the color wheel are often pleasing to the eye since they pair warm and cool hues. Get inspiration! This may be an obvious one, but one of the best ways to determine the right colors for your wedding is to look at what others couples have done and see if anything jumps out at you. From flowers to bridesmaids dresses, you’ll be able to get a real sense of how various colors work together on the bid day. Check out Style Me Pretty or Pinterest to get your creative juices flowing. Ultimately, while each couple’s wedding palette is a deeply personal choice and a decision to give serious consideration to, have fun with the process and don’t let it overwhelm you. You want to look back and have only happy memories stem from the colors you choose!